Zimbabwe's president on Tuesday said "unacceptable" violence by security forces will be investigated after a days-long crackdown on economic unrest, while a doctor said the 12 documented deaths and more than 300 people wounded are likely "just a fraction of the actual victims." President Emmerson Mnangagwa called for a national dialogue among political parties and civic leaders, even as arrests continued. He spoke after skipping a visit to the World Economic Forum in Davos, Switzerland, under pressure to return home. Zimbabwe's military was in the streets last week for the first time since post-election violence in August in which six people were killed. More than 600 people were arrested, with most denied bail. 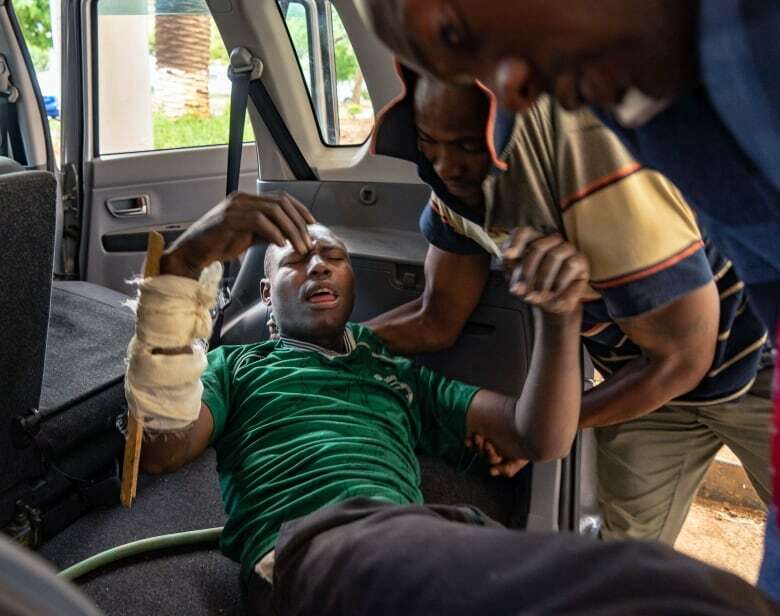 The "army is on the forefront of orchestrating the violence," backed by ruling ZANU-PF youth gangs and police, Norman Matara with the Zimbabwe Association of Doctors for Human Rights told reporters in Johannesburg. The pattern of injuries seen in the more than 300 people wounded and 12 people killed, showed premeditation by security forces, Matara said. He added that, "we think these numbers are just a fraction of the actual victims." Several people were dragged from their hospital beds and arrested, Matara said, while others were shot in the head at close range and died. About half of those wounded were bystanders hit by stray bullets when the military opened fire on crowds, he said. The group documented abuse of people as young as nine. Some medical professionals, accused of "trying to subvert the government" by publicizing the toll, now are afraid to help victims, Mantara said. Mnangagwa said chaos and insubordination will not be tolerated and "if required, heads will roll." He defended, however, the dramatic fuel price increase that began the unrest by making gasoline in Zimbabwe the most expensive in the world. Authorities had said it was meant to ease the demand that had created extremely long lines at gas stations. But Zimbabweans who had seen little or no improvement in the collapsed economy under Mnangagwa, who took office in late 2017 after the ouster of longtime leader Robert Mugabe, lost their patience. Activists and labour leaders called for people to stay at home for three days in protests. Others took to the streets, with some looting in anger or desperation. 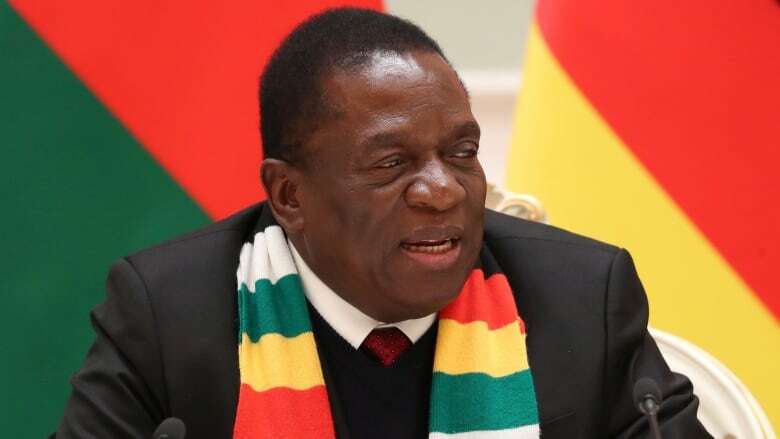 Mnangagwa's government has blamed the unrest on the opposition, despite witness accounts of security forces opening fire on crowds and killing or wounding bystanders, including a 17-year-old. "Everyone has the right to protest, but this was not a peaceful protest," Mnangagwa said Tuesday. Mnangagwa has previously said he is open to dialogue with the main opposition MDC party, which narrowly lost the July election and lost a court challenge alleging fraud. The president has dismissed the idea of forming a government of national unity. "Mnangagwa's overtures are always on Twitter. He knows where we are, yet he has chosen not to talk to us directly, he has never approached us, so this is another PR exercise," MDC spokesperson Jacob Mafume said. Zimbabwe Lawyers for Human Rights said police arrested labour federation leader Japhet Moyo "in the wee hours of the night" just hours after releasing him. He is charged with subversion for his role in organizing the national strike along with pastor and activist Evan Mawarire. Police overnight also detained some 28 people who were receiving medical attention at a hospital in the capital, Harare, the lawyers' group said, calling it "deplorable and very inhumane." Zimbabwe's government had ordered an internet blackout in recent days as reports of abuses emerged, but the High Court on Monday ordered that full service be restored, calling the shutdown illegal and saying only the president has the authority to make such an order. The government alleges the internet has been used to organize the unrest. At Davos, Mnangagwa had planned to appeal for foreign investment and loans but faced a more difficult reception than the one a year ago, when optimism was relatively high about a "new Zimbabwe." Neighbouring South Africa recently turned down Mnangagwa's request for a $1.2 billion US loan. The week of turmoil again brought questions about tensions between Mnangagwa and the man he left in charge as acting president while he was overseas, hard-line former military commander and now Vice-President Constantino Chiwenga, who had led the military effort to oust Mugabe. Both Mnangagwa and Chiwenga have dismissed persistent reports of a rift, and they hugged upon the president's return late Monday and chatted for 15 minutes on the runway.